In garden terms, Shannon Grina, would best describe herself as a TRANSPLANT. Originally from Colorado, she grew up learning about mountain wild flowers and evergreen trees. In 1989 she relocated to Greenville, South Carolina. There she developed a fondness for flowering dogwood trees, magnolias and groomed formal landscapes. While living in Santa Rosa, California she created a backyard habitat that could survive ravaging deer and wild turkeys. 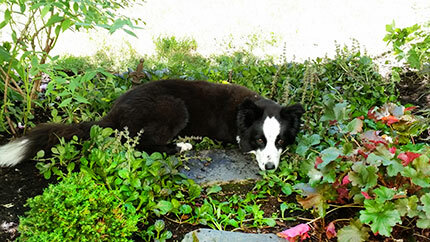 She also learned the true meaning of drought tolerant gardens. 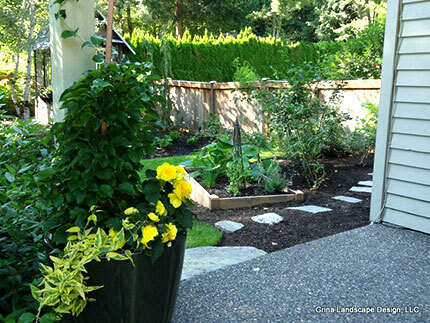 Once settled in Washington, she found herself in dire need of a yard renovation. Fed up with uninspired gardening advice from “professionals” who believed in lots of juniper, and unimaginative plant selections she became committed to educating herself. Shannon enrolled in the Environmental Horticulture Program at Lake Washington Technical College under the instruction of Don Marshall. In 2007 she completed the certificate program in Environmental Horticulture. Soon after, she tested and received the credential of Certified Professional Horticulturist. After a year of employment at Molbaks as a landscape designer and garden coach, Shannon ventured out on her own to create her company, Grina Landscape Design in fall of 2008. After nine years working with outstanding clients on the greater Eastside, Grina Landscape Design relocated to Gig Harbor in Spring of 2017. The company currently focuses on projects in the greater Gig Harbor, Port Orchard, Key Peninsula and Pierce County area. Shannon is committed to the horticulture industry and has served on the Washington State Nursery and Landscape Association board. She continues to work with Certified Professional Horticulturists on the certification process, program promotion, member networking opportunities and has been the WSNLA board caucus representative. In 2018 Shannon will serve as the Vice President for the Washington State Nursery and Landscape Association executive board. An active member of the Washington Association of Professional Landscape Designers, she continues to enhance her education and professionalism through ongoing continuing education and networking with her peers. Shannon is also a Featured Designer with APLDWA, check that out here. 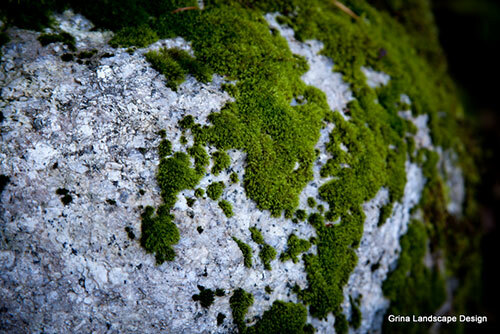 Client reviews of Grina Landscape Design are available on Shannon's Houzz site by clicking here. Best of Houzz 2017 Award info here.